ACL rupture is a common injury in professional sport as well as recreation. It happens most often during deceleration, lateral pivoting, or landing tasks. Most often it is a non-contact mechanism during which the knee is exposed to large forces. The main component of the ACL, reaching 75% of the content, is collagen. Ligaments are made of several types of collagen, which perform different functions. It has been proved that various variants of collagen genes and their interaction with other genes may significantly influence the risk of injury to the ACL. This publication contains a review of studies about polymorphisms of collagen genes in the context of ACL rupture. 1. Birk D.E. Type V collagen: heterotypic type I/V collagen interactions in the regulation of fibril assembly. Micron. 2001; 32 (3): 223-237. 2. Birk D.E., Fitch J.M., Babiarz J.P., Doane K.J., Linsenmayer T.F. Collagen fibrillogenesis in vitro: interaction of types I and V collagen regulates fibril diameter. J. Cell Sci. 1990; 95: 649-57. 3. Birkedal-Hansen H., Moore W.G., Bodden M.K., Windsor L.J., Birkedal-Hansen B., DeCarlo A., Engler J.A. Matrix metalloproteinases: a review. Crit. Rev. Oral. Biol. Med. 1993; 4: 197–250. 4. Brooks J.H.M., Fuller C.W., Kemp S.P.T., Reddin D.B. Epidemiology of injuries in English professional rugby union: part 1 match injuries. Br. J. Sports Med. 2005; 39: 757–66. 5. Chanut-Delalande H., Bonod-Bidaud C., Cogne S., Malbouyres M., Ramirez F., Fichard A., Ruggiero F. Development of a functional skin matrix requires deposition of collagen V heterotrimers. Mol. Cell Biol. 2004; 24: 6049-57. 6. Chervoneva I., Birk D.E. Murine model of the Ehlers–Danlos syndrome. COL5A1 haploinsufficiency disrupts collagen fibril assembly at multiple stages. J. Biol. Chem. 2006; 281: 12888–12895. 7. Collins M. and Posthumus M. Type V collagen genotype and exercise-related phenotype relationships: a novel hypothesis. Exerc. Sport Sci. Rev. 2011; 39 (4): 191-198. 8. Collins M. and Raleigh S.M. Genetic Risk Factors for Musculoskeletal Soft Tissue Injuries. Med. Sport Sci. 2009; 54: 136-149. 9. Collins M., O’Connell K., Stępień-Słodkowska M., Buryta M. Polymorphism +1245G/T within the COL1A1 gene with the risk of ACL injuries in skiers and snowboarders. Zeszyty naukowe Uniwersytetu Szczecińskiego. 2012; 771 (28): 215-221. 10. Collins M., Posthumus M., Schwellnus M. The COL1A1 gene and acute soft tissue ruptures. Br. J. Sports Med. 2010; 44: 1063–1064. 11. Dublet B., van der Rest M. Type XIV collagen, a new homotrimeric molecule extracted from fetal bovine skin and tendon, with a triple helical disulfide-bonded domain homologous to type IX and type XII collagens. J. Biol. Chem. 1991; 266 (11): 6853-8. 14. Flørenes T.W., Heir S., Nordsletten L., Bahr R.. Injuries among World Cup freestyle skiers. Br. J. Sports Med. 2010; 44: 803–808. 15. Frank C.B. Ligament structure, physiology and function. J. Musculoskelet. Neuronal. Interact. 2004; 4: 199-201. 16. Gordon M.K., Gerecke D.R., Olsen B.R. Type XII collagen: distinct extracellular matrix component discovered by cDNA cloning. Proc. Natl. Acad. Sci. U.S.A. 1987; 84: 6040-4. 18. Habelt S., Hasler C.C., Steinbrück K., Majewski M. Sport injuries in adolescents. Orthop. Rev. (Pavia). 2011; 3 (2): 18. 19. Hoffmann A., Gross G. Tendon and ligament engineering in the adult organism: mesenchymal stem cells and gene-therapeutic approaches. Int. Orthop. 2007; 31: 791-797. 20. Jin H., van’t Hof R.J., Albagha O.M., Ralston S.H. Promoter and intron 1 poly- morphisms of COL1A1 interact to regulate transcription and susceptibility to osteoporosis. Hum. Mol. Genet. 2009; 18 (15): 2729–2738. 22. Kim S., Endres N.K., Johnson R.J., Ettlinger C.F., Shealy J.E. Snowboarding injuries: trends over time and comparisons with alpine skiing injuries. Am. J. Sports Med. 2012; 40 (4): 770-6. 23. 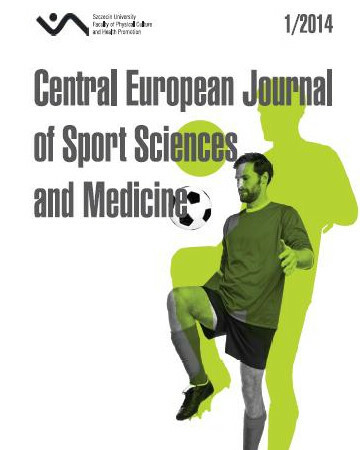 Majewski M., Habelt S., Steinbrück K. Epidemiology of athletic knee injuries: A 10-year study; The Knee. 2006; 13 (3): 184-188. 24. Malfait F., Wenstrup R.J., De Paepe A. Clinical and genetic aspects of Ehlers–Danlos syndrome, classic type. Genet. Med. 2010; 12: 597–605. 25. Mann V., Hobson E.E., Li B. Stewart T.L., Grant S.F., Robins S.P., Aspden R.M., Ralston S.H. A COL1A1 Sp1 binding site polymorphism predisposes to osteoporotic fracture by affecting bone density and quality. J. Clin. Invest. 2001; 107: 899–907. 26. Marijanović I., Radnic M., Matic I., Erceg-Ivkosic I. Osteogenesis imperfecta and achievements in cell and gene therapy. Acta. Med. Croatica. 2010; 64:191-200. 27. Marshall S.W., Padua D., McGrath M. Incidence of ACL injuries. In: Hewett TE, Schultz SJ, Griffin LY, eds, Understanding and preventing non-contact ACL injuries. Champaign, IL: Human Kinetics, 2007; 5–30. 28. McBrien N.A., Gentle A. Role of the sclera in the development and pathological complications of myopia. Prog. Retin. Eye Res. 2003; 22 :307-38. 30. Mokone G.G., Schwellnus M.P., Noakes T.D., Collins M. The COL5A1 gene and Achilles tendon pathology. Scand. J. Med. Sci. Sports. 2006; 16: 19–26. 31. Parkkari J., Pasanen K., Mattila V.M., Kannus P., Rimpelä A. The risk for a cruciate ligament injury of the knee in adolescents and young adults: a population-based cohort study of 46 500 people with a 9 year follow-up. Br. J. Sports Med. 2008; 42: 422–6. 33. Posthumus M., September A.V., Keegan M. O'Cuinneagain D., Van der Merwe W., Schwellnus M.P., Collins M. Genetic risk factors for anterior cruciate ligament ruptures: COL1A1 gene variant. Br. J. Sports Med. 2009; 43: 352–6. 34. Posthumus M., September A.V., O'Cuinneagain D., van der Merwe W., Schwellnus M.P., Collins M. The COL5A1 gene is associated with increased risk of anterior cruciate ligament ruptures in female participants. Am. J. Sports Med. 2009a; 37 (11): 2234-40. 35. Posthumus M., September A.V., O'Cuinneagain D., van der Merwe W., Schwellnus M.P., Collins M. The association between the COL12A1 gene and anterior cruciate ligament ruptures. Br. J. Sports Med. 2010; 44 (16): 1160-5. 36. Posthumus M., September A.V., Schwellnus M.P., Collins M. Investigation of the Sp1-binding site polymorphism within the COL1A1 gene in participants with Achilles tendon injuries and controls. J. Sci. Med. Sport. 2008; 12: 184–9. 37. Raleigh S.M., van der Merwe L., Ribbans W.J., Smith R.K., Schwellnus M.P., Collins M. Variants within the MMP3 gene are associated with Achilles tendinopathy: possible interaction with the COL5A1 gene. Br. J. Sports Med. 2009; 43: 514–520. 39. Riley G. The pathogenesis of tendinopathy. A molecular perspective. Rheumatology (Oxford). 2004; 43 (2): 131–142. 40. Schnittger S., Herbst H., Schuppan D., Dannenberg C., Bauer M., Fonatsch C. Localization of the undulin gene (UND) to human chromosome band 8q23. Cytogenet. Cell Genet. 1995; 68 (3-4): 233-4. 41. September A.V., Cook J., Handley C.J., van der Merwe L., Schwellnus M.P., Collins M. Variants within the COL5A1 gene are associated with Achilles tendinopathy in two populations. Br. J. Sports Med. 2009; 43: 357–365. 42. September A.V., Posthumus M., van der Merwe L., Schwellnus M., Noakes T.D., Collins M. The COL12A1 and COL14A1 genes and Achilles tendon injuries. Int. J. Sports Med. 2008; 29(3): 257-63. 43. Shaw L.M., Olsen B.R. FACIT collagens: diverse molecular bridges in extracellular matrices. Trends. Biochem. Sci. 1991; 16: 191-4. 44. Somerville R.P., Oblander S.A., Apte S.S. Matrix metalloproteinases: old dogs with new tricks. Genome Biol. 2003; 4: 216. 48. Trulsson A., Roos E.M., Ageberg E., Garwicz M. Relationships between postural orientation and self reported function, hop performance and muscle power in subjects with anterior cruciate ligament injury. BMC Musculoskelet. Disord. 2010; 11: 143. 49. Wenstrup R.J., Florer J.B., Davidson J.M., Phillips C.L., Pfeiffer B.J., Menezes D.W., Yang Z., Ke Z.F., Zeng C., Wang Z., Shi H.J., Wang L.T. Mutation characteristics in type I collagen genes in Chinese patients with osteogenesis imperfecta. Genet. Mol. 50. Young B.B., Zhang G., Koch M., Birk D.E. The roles of types XII and XIV collagen in fibrillogenesis and matrix assembly in the developing cornea. J. Cell Biochem. 2002; 87 :208-20. 51. Zhang D., Shi Y., Gong B., He F., Lu F., Lin H., Wu Z., Cheng J., Chen B., Liao S., Ma S., Hu J., Yang Z. An association study of the COL1A1 gene and high myopia in a Han Chinese population. Mol. Vis. 2011; 17: 3379–83.